Make your wife realise that you are also a good cook may not like her but you make the food which she will surely like to taste. 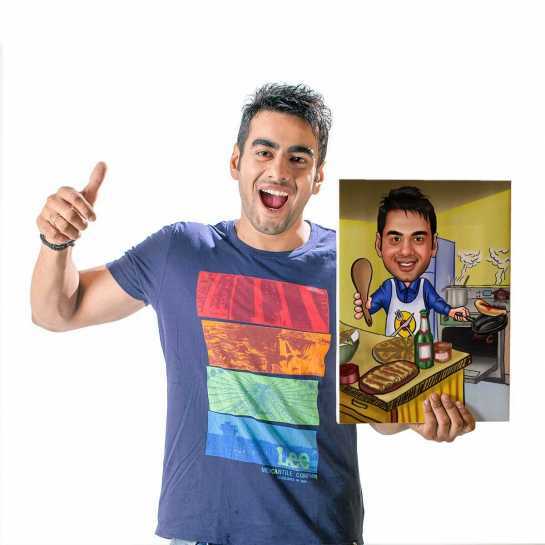 Do gift her this caricature as full proof of your commitment to the cooking of meals. After all, husbands should also know how to cook.